Stylish, built to last and easy to clean, the GROHE Eurostyle Cosmopolitan bidet tap comes with a convenient pop-up waste and a ball-joint spout for precise control of the water jet. The integrated GROHE SilkMove ceramic cartridge also ensures ultra smooth lever operation. 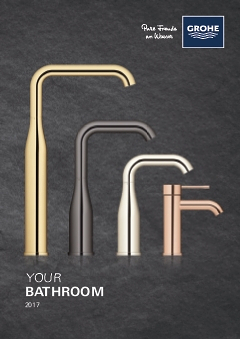 Crafted in a contemporary design, it has a scratch resistant GROHE StarLight chrome coating that will sparkle for years. The GROHE Eurostyle Cosmopolitan bidet tap makes an instant style statement in any bathroom.